With the holidays quickly approaching, the Pierce College Farm Center is packing away the Halloween decorations and incorporating Christmas-themed activities to its everyday routine. These activities include sales of Christmas trees, decorations, photographs with Santa Claus, and wagon rides. “We’ve gone from scary to merry,” said Robert McBroom, Farm Center director. 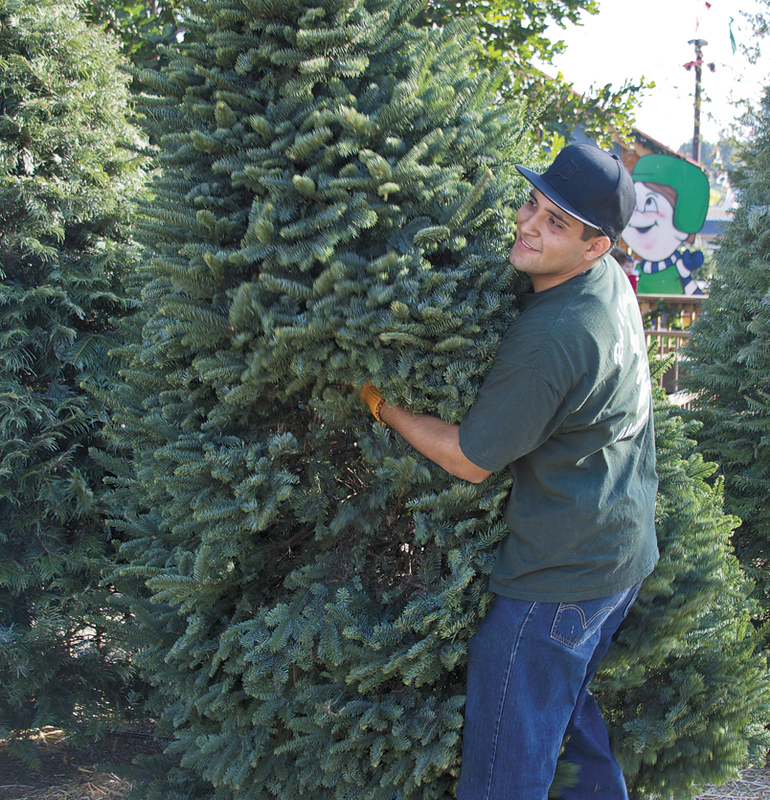 The prices of the Christmas trees range from $25 to $700, depending on its size. The smallest tree is two feet tall, and the biggest one is 15 feet tall. This is the seventh year the Farm Center is selling Christmas trees. A commercial was filmed last week advertising the trees being sold in the Farm Center. It will appear on most channels, McBroom said. Buyers have the option of getting their trees at the Farm Center, or delivered right to their houses, said McBroom. “We provide a complete service,” he said. There will also be trees available in January, according to Desiree Cooper, market supervisor. In addition to the selling of the Christmas trees, the Farm Center also offers pictures taken with Santa for $10 and a wagon ride for $4. The Farm Center still offers their usual services such as train and pony rides, and a petting zoo. The Christmas house that serves as the backdrop of the portrait with Santa has tarps in case it rains. Santa will be available from 10 a.m. to 10 p.m. during weekends, and from 4 p.m. to 10 p.m. during weekdays. Costumers who purchase a tree taller than 5’6″ get a free portrait with Santa and a ride in a wagon. The wagon rides and the bonfire will be available at night only, because the wagon ride lights up and is better suited, like the bonfire, for the evening. The Farm Center will also have fresh reeves, garland and mistletoe available for purchase along with the other products that they offer. “[It is] all about the family experience,” said McBroom. The Center will be open on Christmas Eve and Christmas day, selling trees and other goods for only half of the day. “It is fun for the kids,” Desiree Cooper, market supervisor, said.